Another Akai with the crystal ferrite heads and vintage sounding electronics. This one is the quarter track stereo version, running at 7.5 and 3.75 ips. Refurbished and modified by Jesus Agnew for better sonic performance and transport stability. 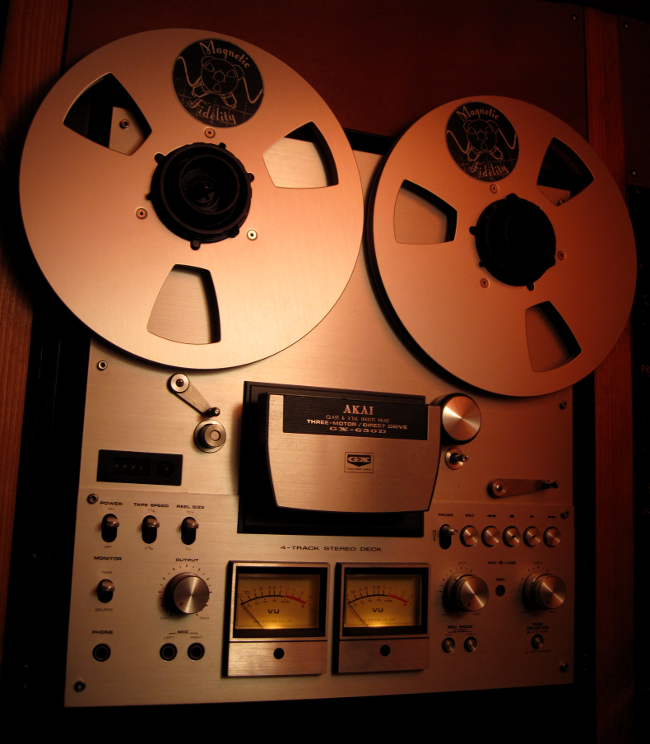 This machine is used to reproduce quarter track stereo tapes, a format, commonly used in home and project studios, which sounds exceptionally good. It is also used to create quarter track stereo recordings, should this be needed.